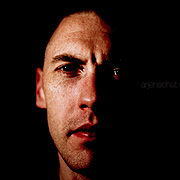 A vital energy courses through the sequencer music of Arjen Schat. 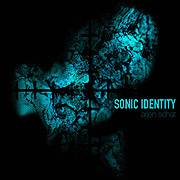 Sonic Identity (62'06") is his brilliant adventure into an irresistible wonderland of four forcefully imagined electronic realizations. Perhaps a declaration of the self, Sonic Identity seems to be a carefully conceived conception of Schat's inner nature. Combining a vaulting imagination with tenure in the cult of sonics, this tech disciple conveys space - in both a scale that of the mind, and The Cosmos. Sonic Identity subtly builds layer after layer of repeating patterns of notes. Running in machine precision the lock step of bounding tones bounce through their minor key locomotion in ever-advancing ranks - their brightening and echoing giving off a feel of increasing velocity. As each individual pulsing band of rhythm interacts with its neighboring row, an interweaved structure comes forth. The pitched blips bounce, pop, mingle and mix into a unified structure. The overlay of various shades of advancing synth string chords moves the listener from a feeling of permanent dark, to a sense of possibility. This cool effect intensifies the pervading texture, so that the intrigued mind might strengthen useful connections. A distinctive amalgam of composing and engineering, in which music and technology - narrative and evocation - the fixed and the fleeting - combine to produce effects of nuance and subtleties. His assured handling of apparatus and convincing sonorous representations attest to Schat's thorough training in systems and atmospherics - while all the changing stories, dreams and reflections which arise while listening to Sonic Identity may be attributed solely to the intellect of the listener.